You’d think that they’re harmless pieces of hardware. But what you may be surprised to find out is that it has the capability to kill you. No, it’s not the “rise of the machines” Terminator-style kind of carnage, but a more subtle one. You know what they say? It ain’t over till it’s over. That line goes through for last year’s most dreaded outbreak that spread on a worldwide scale – the H1N1. It’s a good thing that the outbreak was short-lived. The bad news is, it might not be over yet. A second strain might attack us anytime soon. This is what during the 1957 strain of influenza that hit the United States. So, aside from prevention what could possibly be the best way to cushion the effect of another flu outbreak? Help people to understand the spread of flu. And that’s what Google is trying to do via its city level flu estimates of Â 121 cities in the United States. Google Flu Trends, tracks the popularity of Google search queries relating to flu or influenza and then estimates the level of flu in near real-time in specific places. Google updates this daily and even provides early detection warning of any flu activity. Although experimental by nature pending validation from official data, the Google Flu Trends estimates were derived from U.S. national estimates, so there is still some degree of validity. Google Flu Trends is a very useful tool and illustrates again how web tools can be used for the common good of mankind. Hopefully, the second strain of influenza that might happen soon is not as bad as the first strain. Better yet, let’s just hope that the second strain does not happen at all. HealthCentral, the website that collects online condition-specific consumer health and wellness experiences, has acquired Wellsphere, a health technology company, adding nearly four million monthly unique visitors to HealthCentral’s audience. The acquisition combines HealthCentral’s high-quality, condition-specific interactive experiences, content and audience with Wellsphere’s aggregation of over 1,500 health and wellness bloggers and unique Health Knowledge Engine technology that deciphers highly specific health information. HealthCentral also will leverage Wellsphere’s health community enterprise technology which powers Stanford University’s [email protected] to deliver valuable health information and wellness tools for Stanford employees. The deal raises HealthCentral’s audience of its owned properties to ten million unique visitors per month, and makes the company the largest organic aggregation of online health and wellness communities. VideoMD.com, a new website that focuses on physician-generated video health information, has reached a milestone of 2500 patient education videos. VideoMD.com would like to thank all of the physicians, health care providers, and institutions that have helped to contribute to this milestone. “We are quickly building the most comprehensive library of health information videos on the web. All of our featured videos are reviewed by physicians for medical content. We want the health information consumer to know that our video library is up to date, and trustworthy. We have videos from your own trusted physicians, as well as some of the preeminent specialists in their field of medicine,” said Dean Heller, MD, President of VideoMD.com. 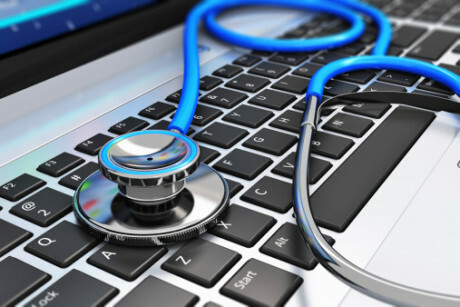 In addition to providing a portal for all health information consumers, VideoMD.com serves as home for physicians to better educate their own patients. Health care providers can post educational videos for their own patients on their individual page of VideoMD.com.